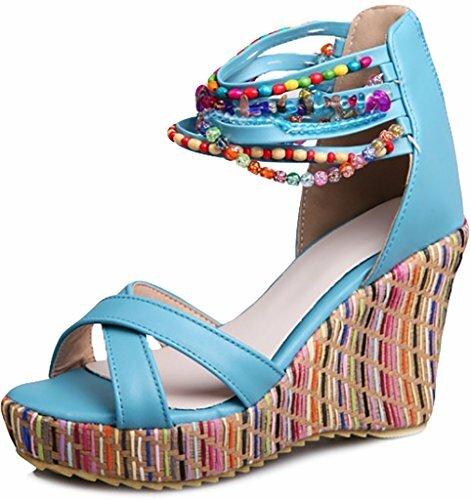 The Perfect Sandal: These platform wedge Zapatillas are the perfect pair to add a few inches to your frame, elongate your legs and rock every dress, denim jeans, or skirt with ease! 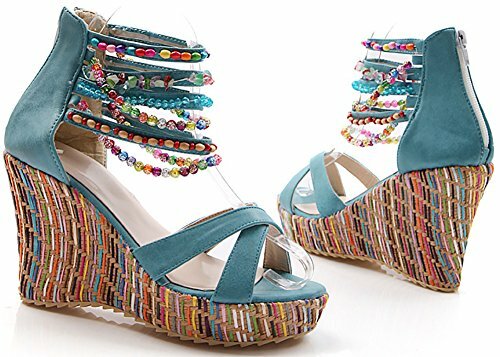 A Perfect Fit Every Time: Open toe with decorative colorful beaded pearls design, featuring bohemian style, to give you perfect fit in every time. Available in Apricot, Blue, Orange, Pink. These is a color for every occasion.